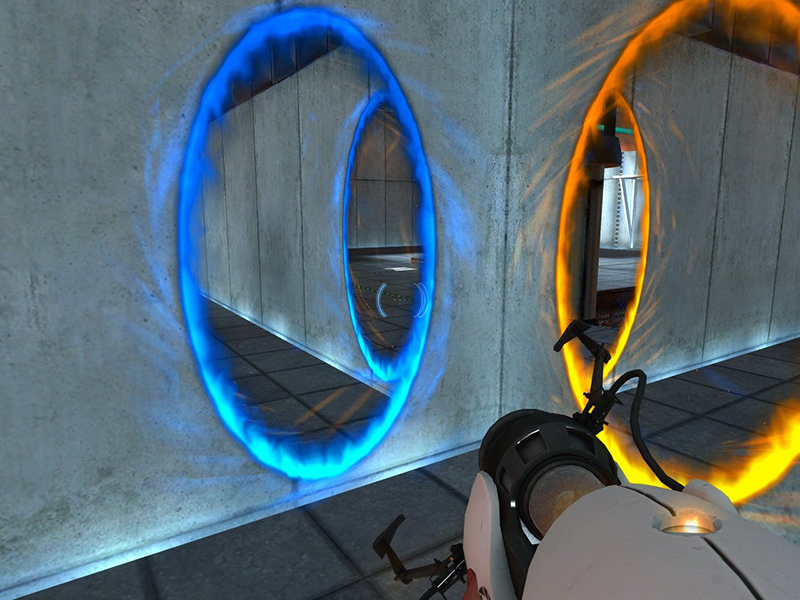 Few games have captivated the hearts of gamers in quite the same way as Portal. 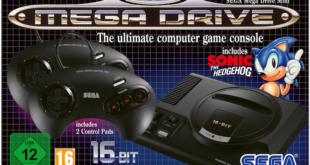 Maddening puzzles, a homicidal robot, and that iconic cake all wrapped up into an all-time favorite for many gamers. Now, Valve is bringing back your favorite sarcastic robot in Portal 2, but can they hit the mark again or is it all just a lie? As with any sequel, Portal 2 already had a lot of expectations of it even before its release. To be a success, it had to have enough of the original in it to keep diehard fans happy yet offer a new experience at the same time. Valve has actually done a great job of this, because while players can just pick up and play from the beginning as if continuing on in Portal, Portal 2 isn’t just Portal with more levels. Portal 2 brings in a lot of new items like boxes that can redirect lasers, paths that can be extended through portals, and more. The story makes sense, and while some things look familiar, it isn’t in a copycat way. It should be noted that the game pretty much assumes this isn’t your first testing facility, and doesn’t offer any tutorial on how to use the portals. 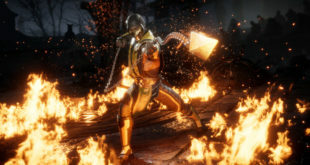 Although veteran Portal players will likely enjoy the lack of basic portal instruction getting the way of their regularly scheduled gaming, gamers who haven’t played the original may have a little difficulty getting started at first. Don’t worry to much if you’re a newcomer though, you’ll pick things up pretty quickly. Like the original, the levels in Portal 2 are very linear, and generally quite short. You are ushered into various rooms of the testing facility that are in a state of “apocalyptic” disarray, and you must solve the puzzles in order to open the exit door. Markings on the floor, ceiling, and walls will indicate different switches that need to be triggered. The solutions to the puzzles are not readily apparent, and you often need to get very creative to figure out how to solve them. The puzzles are quite challenging, even at the beginning, but not really in a way that makes you want to rage quit and find a new game. Portal 2 just makes you determined to figure it out, and makes you feel like a rock star when you do by rewarding you with awesomely insulting sarcasm from a delightful disdainful robot. 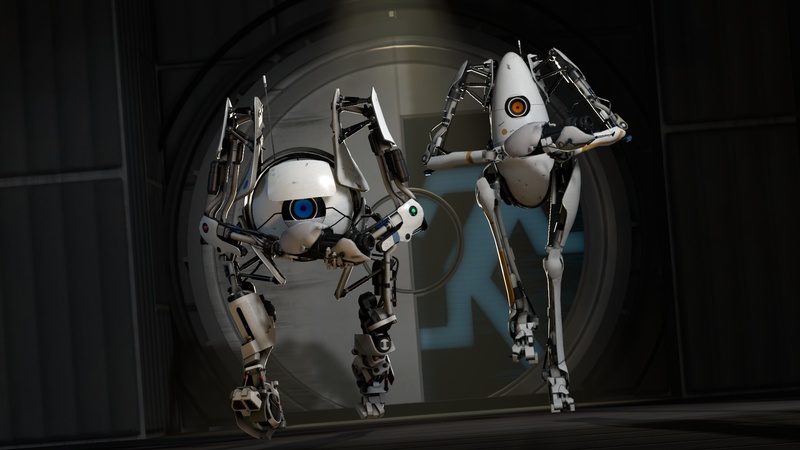 Portal 2 is a game that will amuse you and often confuse you, but it won’t bore you. For those unfamiliar with the original Portal, the basic mechanic of that game as well as Portal 2 is a portal gun with two colors. Shooting one portal of each color creates an instant pathway from one to the other that can be used to transport either your character or various items to other locations throughout the room. However, portals can only be opened on flat, white surfaces so the areas you can access with them area limited. In addition to the portals, there are things like laser switches, moving platforms, and glowing pathways that often must be used together to make your way through the levels. Throughout all of this, your character is being constantly mocked by the robot performing the tests. Awesomely mocked. Truly, the robot’s dialogue is a big part of what makes the game so enjoyable, and you’ve got to love the humor in it. Cooperative mode, which can be played online or locally in split-screen, allows you and a friend to play as robots who must work together to solve various puzzles in the testing facility. 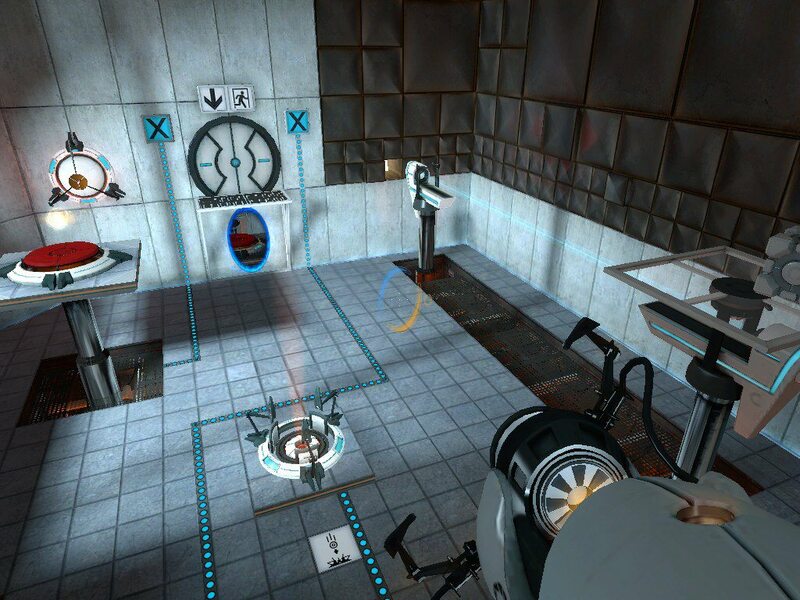 Rather than making cooperative mode just single player mode with help, Portal 2 uses it as a way to add a whole new storyline to the game, and the levels are not the same ones you go through in single player. The two of you are obviously sorely lacking robots, and will of course be mocked throughout every level of testing. One robot will not be able to complete any of the puzzles on its own, even though you both have portal guns. You must work together. The puzzles are similar in style to the ones in the single player mode, but the aspect of having 4 portals at your disposal rather than 2 means solutions can get a bit more complex. In addition to solving puzzles together, you can also perform various gestures like giving high fives and even playing rock, paper, scissors. The gestures don’t really have any function other than as amusement, but that’s good enough for me. Portal 2 is a fun and challenging game. The puzzles are often frustrating and difficult, but not so hard that you want to walk away from the game. This makes solving them extremely satisfying, and keeps you coming back for more abuse. The dialogue is amusing and interesting, and the storyline is just the right mix of old and new. Add in the fact that the cooperative mode is practically another game in itself, and Portal 2 is definitely worth buying. I give Portal 2 a 9.5 out of 10, and of course recommend it to fans of Portal. I also highly recommend it to puzzle fans and anyone who loves a quirky story.